President of the Vallee Foundation, Peter Howley is the Shattuck Professor of Pathological Anatomy and Professor of Microbiology and Immunobiology at Harvard Medical School. His research has focused on the molecular biology of the papillomaviruses, and in particular on the defining the mechanisms by which HPV drives carcinogenesis. His current research deals with papillomavirus virus-host cell interactions and a further understanding of the molecular pathways involved in HPV associated carcinogenesis. His research also involves assessing the roles of the E6AP/UBE3A ubiquitin ligase in human neurogenetic disorders. Dr Howley moved to Harvard in 1993 after twenty years at the National Institutes of Health as an officer in the USPHS, where he was the Chief of the Laboratory of Tumor Virus Biology of the National Cancer Institute. 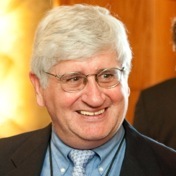 Among his awards are the Wallace P Rowe Award from the National Institute of Allergy and Infectious Diseases, the Warner-Lambert/Parke-Davis and Rous-Whipple Awards from the American Society of Investigative Pathology, and the Paul Ehrlich-Ludwig Darmstaedter Award (shared award Harald zur Hausen) from Germany. In 1993, Dr Howley was elected to the National Academy of Sciences. He was elected to the Institute of Medicine in 1994 and to the American Academy of Arts and Science in 1996. He is a Fellow of the American Academy of Microbiology. He serves on the editorial board for PNAS and is an editor of two textbooks, Fields Virology (6th Edition published in 2013) and the Molecular Basis of Cancer (4th Edition published in 2014).